Love this Diesel boys imitation suede double breasted jacket. 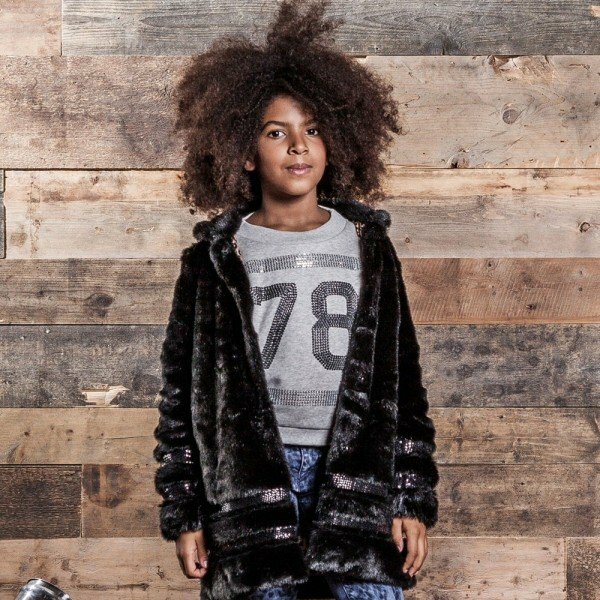 It has a distressed look and a soft fake fur lining and collar which can be worn up for extra warmth. Complete the look with a pair of Diesel jeans, cool t-shirt and leather high-top sneakers. 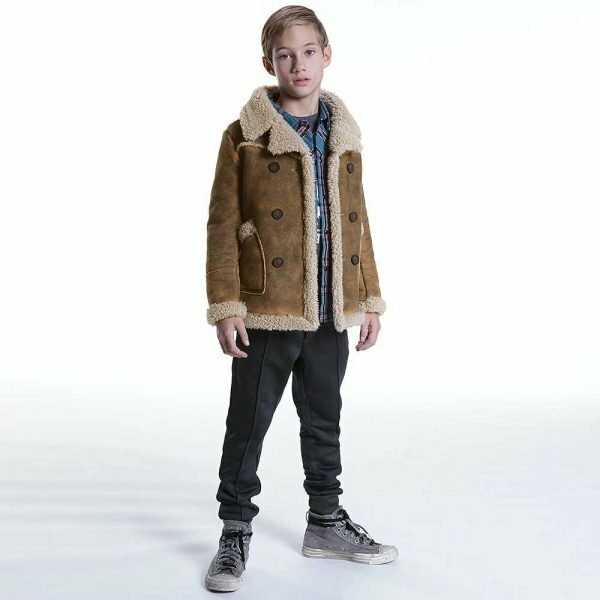 A Diesel logo badge is sewn on to the left sleeve.Adorable Mini Me Look Inspired by the Diesel Men's Collection featured on the runway at Milan Fashion Week. Ships Worldwide.